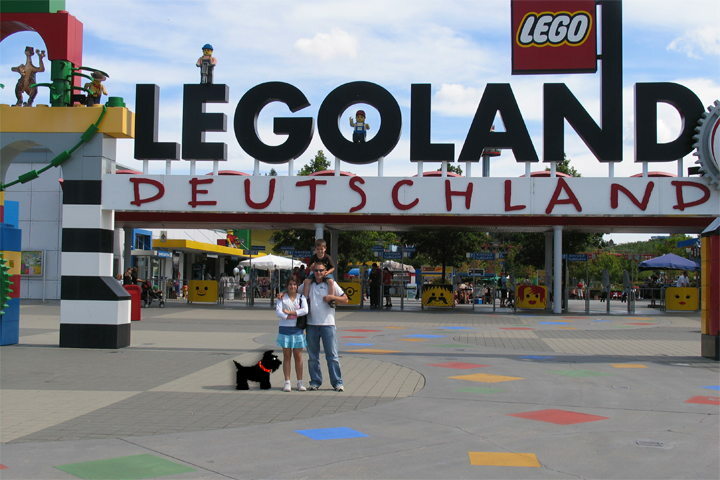 As I mentioned last week Scotty took a trip to Germany. 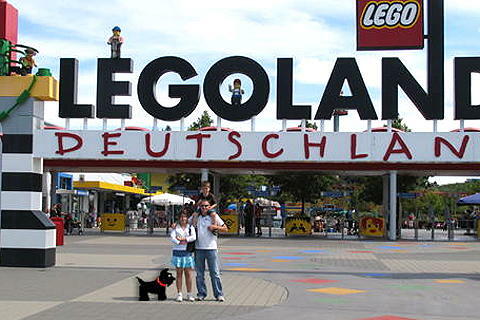 Since he’s a geek puppy he wanted to visit LegoLand while in the country. He had a great time. For family and friends who knew the purpose for my trip, I can say that the company was great but I won’t be returning with as much as I had hoped. When I type in http://www.google.com/, it automatically directs me to http://www.google.de/. Even Blogger gave me instructions in German when I tried to sign on. It was a little scary on Wednesday when as soon I signed on everyones Blog crashed for over an hour. I tried downloading from Amazon UnBoxed so I could watch movies in English but it wouldn’t let me. Apparently, there is no digital rights deal with folks connecting from Germany. As with every time I travel, I really miss my TiVo’s. My SlingBox didn’t work as planned because of Vonage’s VTech equipment back at home wasn’t set to “port forward” it. The only programs we could find in English were on MTV. I can tell you they don’t show the same things on MTV as they did when I was younger. It appears that all the gains women have made as far as dignity and respect in the 70’s and 80’s have been destroyed by current role models on MTV style shows. I did find that Autobahn was very safe to drive even at high speeds but driving around town was tricky. Apparently to save energy, they just turn off most traffic lights on nights and weekends. I learned that the German government had their computers hacked and I want to go on the record that it wasn’t me. A young lady turned me on to an interesting site called Uncyclopedia, which is a parody of Wikipedia. Some of the humor is a little over the top for me but they have some funny stuff and I’m amazed at how many topics you can search. Tomorrow Scotty and I will be returning to the U.S. with a six hour lay over in Charlotte.